It is imperative as synthetic biologists, we spread word about our ever growing field to others. 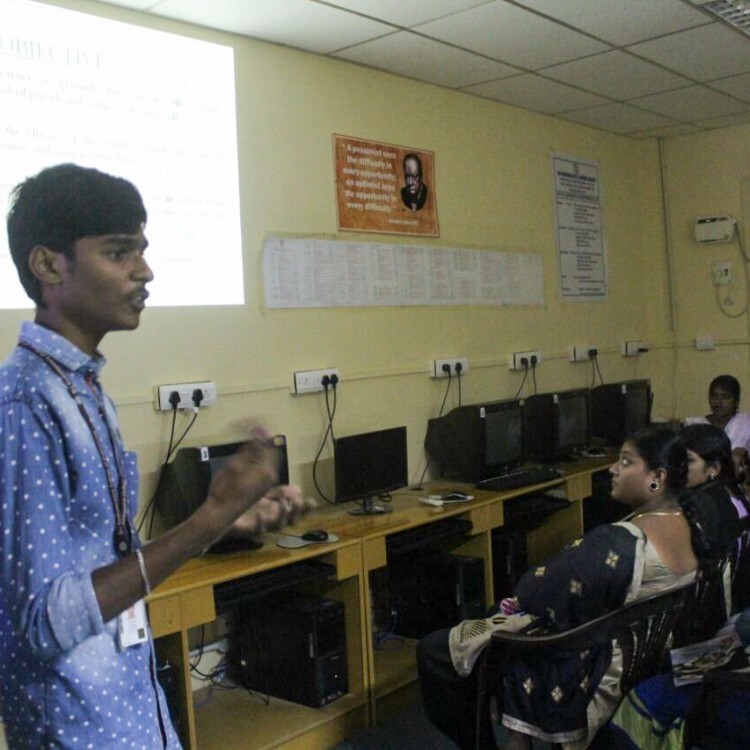 As a part of our human practices work, we decided to educate students of various colleges, for which we visited and gave talks about synthetic biology and our project at the A.C.Tech campus of Anna University, Sankara College in Kancheepuram and Sri Ramachandra Medical College to a total of 280 students. 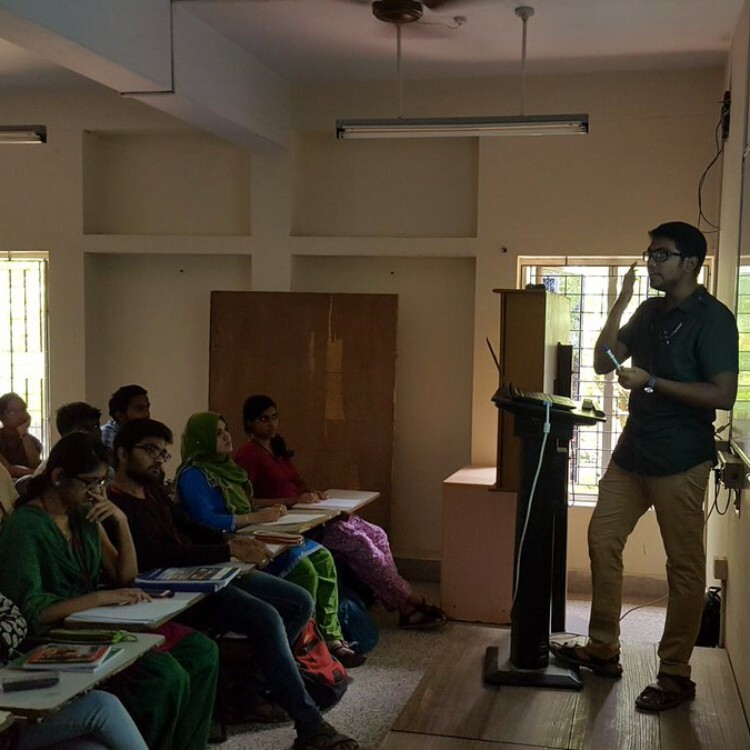 A presentation was give to undergraduate and graduate biotechnology, food technology and bioinformatics students to enlighten them about the basics of synthetic biology and also about our project. To analyze the knowledge gained by the students we issued questionnaires before and after the presentation. The students were informed about the iGEM foundation, its multifaceted programs and values. As the students knew the basics of Genetic Engineering we were able to explain in detail to them about the intricacies of iGEM, the registry of standard biological parts and synthetic biology. Our project was also explained in detail and students understood our plasmid constructs and how we incorporated a part of a previous iGEM teams project(Groningen 2012) into ours, reinforcing how iGEM is open sourced and teams build on other teams projects. The pre and post presentation questionnaires were analyzed and it was found that there was a significant increase in the knowledge the students had about synthetic biology and antimicrobial peptides. The questions in the questionnaire were segregated and grouped under 5 areas. 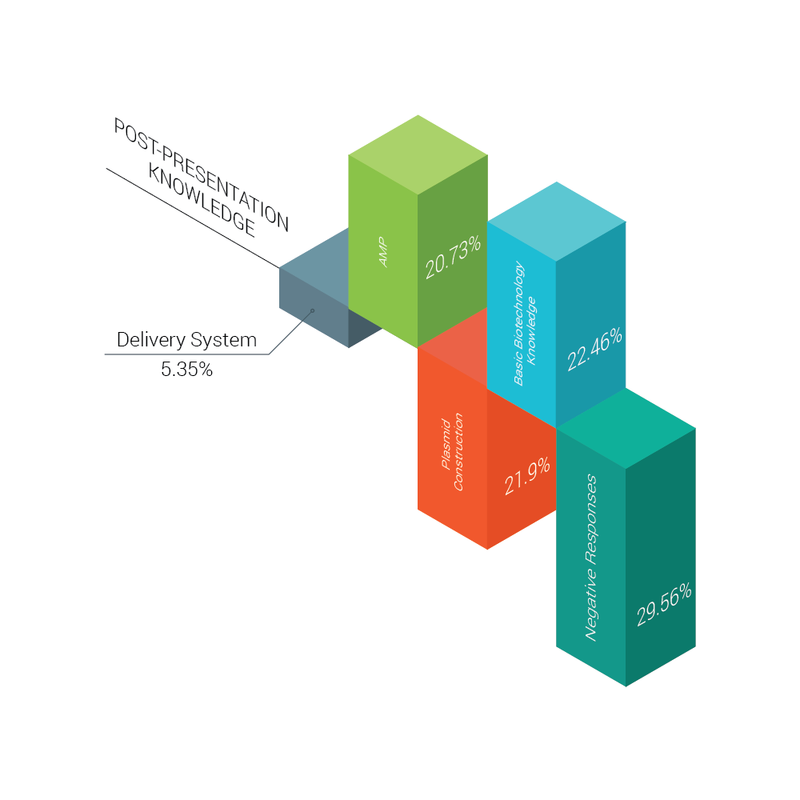 Accordingly, a pie chart was made to analyse the knowledge of students before and after the presentation. 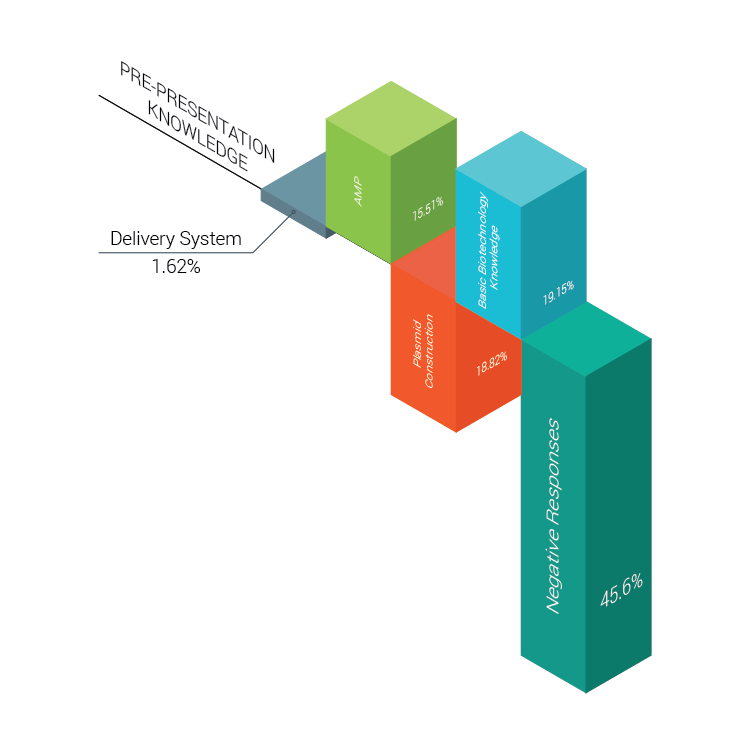 From the above graph, we can infer that there is drastic increase in the knowledge of students about our anti microbial peptides and delivery design. The students were supportive and greatly accepted our delivery design. From the chart, it was found that the negative response from students was also seemingly reduced. Thus this explains the minds of younger generation towards acceptance of GMO’s, ensuring its safety to human beings.